Reaching Canada’s honeymoon capital, Niagara Falls, Ontario, from Toronto is really easy. Such popular attractions as the Niagara Falls Tour, casinos and world-class restaurants are only 130 kilometers (around 80 miles) from Canada’s largest city. That makes Niagara Falls the perfect day trip from Toronto because it only takes around an hour-and-a-half to reach. 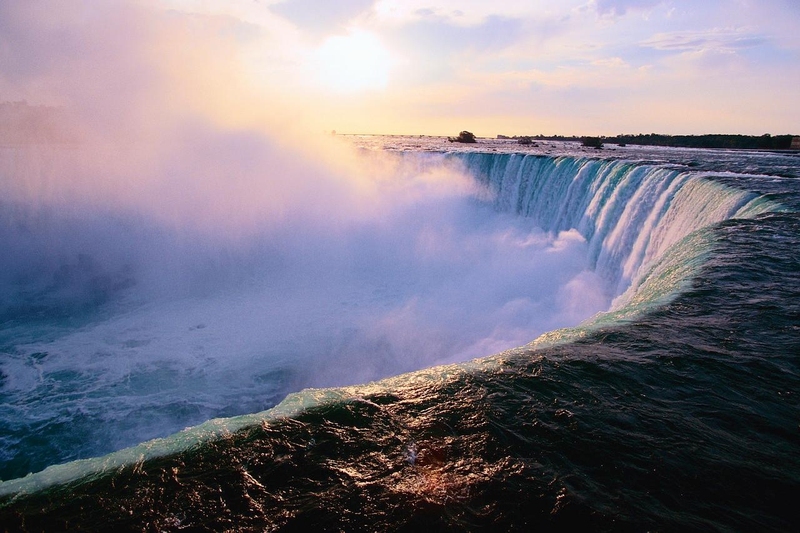 If you are planning a trip to Toronto, taking a look at Niagara Falls should be on your to-do list. Fortunately, there are several easy ways of getting from Toronto to Niagara Falls. Travel Time: One hour-and-a-half if there are no delays. Average Prices: Rental cars cost $40 to $60 a day depending on the model you choose. Finding Niagara Falls from Toronto is real easy; simply follow the QEW. Be careful, though, because the Toronto area has some of the worst traffic in North America. Most experts recommend that you do not drive in the region during rush hours between 6 a.m. and 9 a.m. or 3 p.m. and 7 p.m. Traffic can also be heavy on the weekends and whenever there’s a big event like a hockey game in progress. If you run into traffic or construction, expect to add another hour to the trip. Be prepared to walk because parking is limited in Niagara Falls and some of the lots are quite a distance from the attractions. The Go commuter trains are not presently serving Niagara Falls, but both Amtrak’s Maple Leaf and Via Rail’s Eastshore Limited are. Trains depart from Union Station in Downtown Toronto. Via Rail goes to Niagara Falls, Ontario, while the Maple Leaf serves Niagara Falls, New York. Via Rail service is also available from Kitchener. If you want, you can transfer from the Go Train to the Go Bus at the Burlington Station. Average Price: $17.65 one way and $35.30 for a Day Pass for an adult. The Day Pass is the best deal because it gets you unlimited bus and train travel all day. Seniors and children pay $8.85 one way or $17.65 for a day pass. A $70.60 group pass is also available. Take the Go Train from Union Station to Burlington and transfer to the Go Bus. Make sure you choose the Lakeshore East Service. It would be a good idea to check the Go website before you leave because there are often changes and delays. You can get off at two stops in Niagara Falls: Highway 420 at Stanley and the Bus Terminal. The bus terminal is within walking distance of the major attractions. Transfers to the Niagara Falls City Transit Bus service are available once you reach your final destination. If you take the bus, try to avoid travelling in the rush hour because, like the highways, they can be crowded at that time. Travel Time: The usual trip takes one hour and 45 minutes, but travel times can vary because of traffic. It may take two hours or more in heavy traffic. Price: $10 to $12 one way depending on the time of day you leave if you choose the Megabus; $18 if you take Greyhound. Greyhound will give you a $13 fare if you book online. Greyhound fares are not refundable unless pay extra (around $5) for the refundable fare. Shuttle service from Toronto Pearson Airport costs around $108 if you take the Niagara Airbus. The cheapest option, Megabus or Coach Canada, offers low-cost service from the Toronto Coach Terminal downtown to the Niagara Falls Bus Terminal. Buses depart about once an hour all day. Megabus also offers a free shuttle service to the Fallsview Casino Resort if you book a room there. Greyhound operates around four buses a day from the Toronto Coach Terminal to Niagara Falls. Greyhound also offers service to Niagara Falls, New York, if you wish. Several companies also offer a shuttle bus service from Toronto Pearson Airport, but shuttle bus costs can be higher.